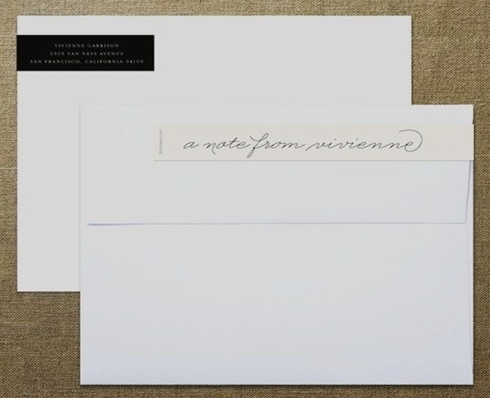 I've been looked for just the right personal stationery for quite some time. While there are so many lovely options out there, none have felt as much the perfect fit as this one by Swedish designer Emily Ranneby. 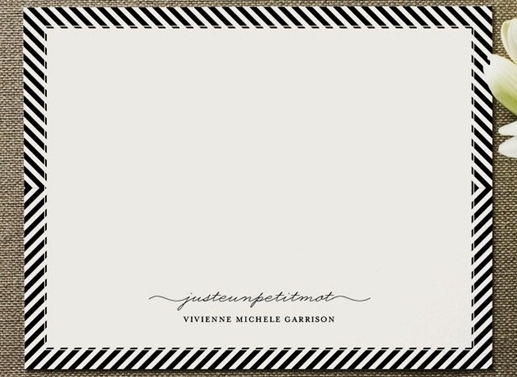 Strong and simple, with black and white stripes that turn to chevron at the sides, balanced with a delicate script on the bottom and at the back of the envelope. This is destined to encourage many more thoughtful notes to far-flung friends, or perhaps some just around the corner who need a little reminder of how special I think they are. Nice stationary is such a grown up thing that I feel bad I don't have it. This would be a perfect start to a collection. Crisp, cool and elegant at once. Nice choice! + David - wholeheartedly agree! Handwritten letters seem to be highly underrated these days, this is part of my bid to bring them back! Thanks Naomi! I'll bet you see some really lovely stationery in your profession.